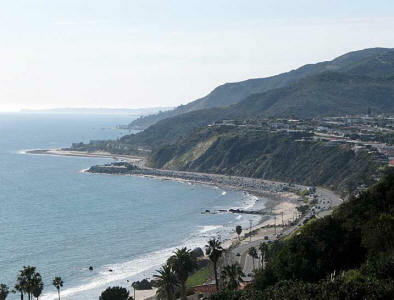 I grew up in the poor part of Malibu, California. No, there really isn't a poor part of Malibu, but if it was in any other city it would have been an unremarkable neighborhood and an unremarkable house. There was nothing remarkable unless you considered a view of the Pacific Ocean to be remarkable. There was nothing remarkable unless you consider near perfect weather to be remarkable. While I liked our home, I didn't really appreciate it until one summer. I was about 12 years old and we had a houseguest staying with us from London, England. He had been there for about a week and he had left a city famous for dreary weather to enjoy the glory of Malibu. Upon waking up toward the end of the week he walked directly into the backyard, stretched out his arms, turned his face to the sun to soak up some morning sun and declared in his most monotone voice that it was another "boring perfect day." I understood the humor and it made me appreciate what we had a little more. My father jumped on the opportunity to make sure he understood just how good we had it here in California. "Yes, living here in Southern California is perfect. Perfect weather. A perfect view and the marijuana grows wild all over Malibu," he said with a chuckle as he gestured to a spindly little plant that I had never noticed before. Did he say marijuana? I didn't realize it just grew all by itself and now that it was pointed out to me I agreed that I had seen this same plant pop up before. He was right. I got on my bike a rode over to my best friend's house up the street to share the news. "Did you know we have marijuana growing wild in our back yard?" Just as I suspected he was very impressed. My friend Tim came from a super conservative family. He went to a Catholic school and his parents put up with much less than my parents. In fact I noticed that no marijuana was growing in his backyard…probably something his parents had to keep a close eye out for. "Let's smoke some," he said. At least I think it was his idea. I don't remember putting up a struggle at the suggestion, but it quickly became clear that we didn't know what we were doing. We agreed that we should do it in our fort. Our fort was a tool shed in the corner of my backyard. We could go in there and close the door and no one would know. Tim knew where to get some matches and my job was to harvest the marijuana. From inside my house I could see the plant growing right by the glass door. There were some brownish leaves along the bottom and I quickly determined those would be the right ones to smoke, but I had to harvest them without being noticed. 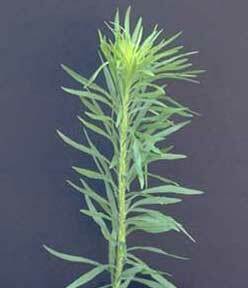 The plant was visible from three rooms in our house. So I walked in the opposite direction out the front of the house and then circled back along the side of the house crawling slowly and listening for any noise that might suggest I would be spotted. When I was within feet of the pot plant I lay flat on my belly and stretched out my arm trying to keep the bulk of my body hidden behind the shrub that stood next to my target plant. I gathered up all of the brown leaves and left enough of the plant in tact so that no one would notice. Having accomplished my mission I met up with Tim and together we did a slow and casual walk to our fort. There was no light in the shed except where the sun shown through the cracks in the splintered wood. We sat on two upended logs across from each other and quickly realized that our plan had not been fully thought through. "How do you smoke it?" Tim asked. "I guess we have to wrap it in paper like my Dad's cigarettes," I said. "Do you have any paper?" Tim asked. "Sure, hold on and I'll go back into the house to get some. I left Tim in our fort and casually made my way back into the house. Once inside I paused to think where we kept the paper. I had some college ruled notebook paper in my room and grabbed a sheet. Once back in the fort we crumbled up the leaves as best we could but we realized we didn't have enough to give this joint any bulk. We considered returning to the plant to harvest some of the green leaves but ultimately abandoned that plan as too risky. We would just have to make do. We tore the notebook paper into an appropriate shape and began to roll the leaves inside the paper. I think I had seen someone do this on TV before because I knew you were supposed to lick the paper to seal it. We rolled a nice cylinder but all the licking in the world wouldn't make this stick. "How come the paper doesn't stick?" I asked. I was dumfounded by this setback. It never occurred to me that they had used special paper to roll their joints or cigarettes. "We need something sticky," Tim said. "I don't know do you have some tape?" suggested Tim. That was a brilliant idea. Sure we had tape. We have a drawer in the kitchen that we called the "gum drawer" that was a collection of things that had nothing to do with preparing food and held no actual gum. The drawer was filled with pens, paper clips, scissors and an eclectic collection items that had been stuff in there over the years because there was no proper place to put them. This is where we also kept our tape. I again returned to the house and made my way to the kitchen with the gum drawer as my destination. Mom was in the kitchen that afternoon apparently starting the process of cooking dinner. The gum drawer was also right next to the cookie jar so I figured I would draw attention away from my true mission by focusing on the cookie jar as a diversion. She shut that down right away because dinner was apparently imminent and the cookie would spoil my meal. Normally I would have argued, but today I didn't want to pick a fight. Instead I settled for a look in the gum drawer. But there was no tape. I reached my arm in deep and felt around for the plastic dispenser of Scotch tape. But there was no tape. I suppressed the urge to panic and did my best to come up with a Plan B. Then I saw something even better than Scotch tape. A single lonely S&H Green Stamp stared up at me. I grabbed it and headed out of the kitchen. Back in the fort Tim marveled at my brilliance. 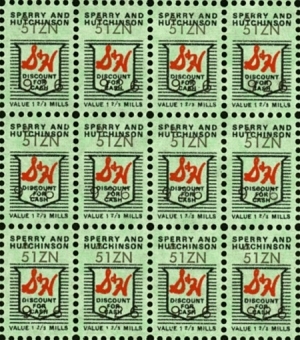 We quickly secured our joint with the S&H Green Stamp, lit the match and started puffing away. While we both knew what marijuana was, we really didn't have a clue why it was apparently so popular. I don't remember learning the concept of being "high" and even if I was aware of the term, I had no basis to understand what that meant. My first puff tasted more of sulfur from the match than anything else, but Tim was able to get it going and the notebook paper quickly caught fire and we were underway. We were about a third of the way through the joint before the flame hit the Green Stamp. The joint was handed back to me and I took a now practiced puff and my eyes went wide with excitement. Now that I really knew how to puff, I understood for the first time what the fascination with marijuana was all about. "Wow, did you taste that?" I asked Tim. "This stuff is sweet. That's what everyone must like about this stuff." Tim readily agreed and after finishing off our joint we sat back quite impressed with ourselves. This was a moment we would certainly remember for the rest of our lives. The following morning we were getting ready to drive our guest to the airport. He was going back to the rain, the fog and the cold and leaving this slice of paradise. He took his taunts a bit further and told us how sorry he was to leave us to suffer in this boring weather in this horrible place. He went on to make fun of my father for thinking that the weed in the back yard was actually marijuana and they laughed at how uncool my father was for his lack of understanding of the 1970s drug world. I was horrified. That wasn't pot? It was just a garden weed? But it tasted so good. It took a few years and some real marijuana before I was able to make sense of this first attempt. The meager few leaves were of no consequence, but it was the notebook paper and the flavored Green Stamp that tasted so good!